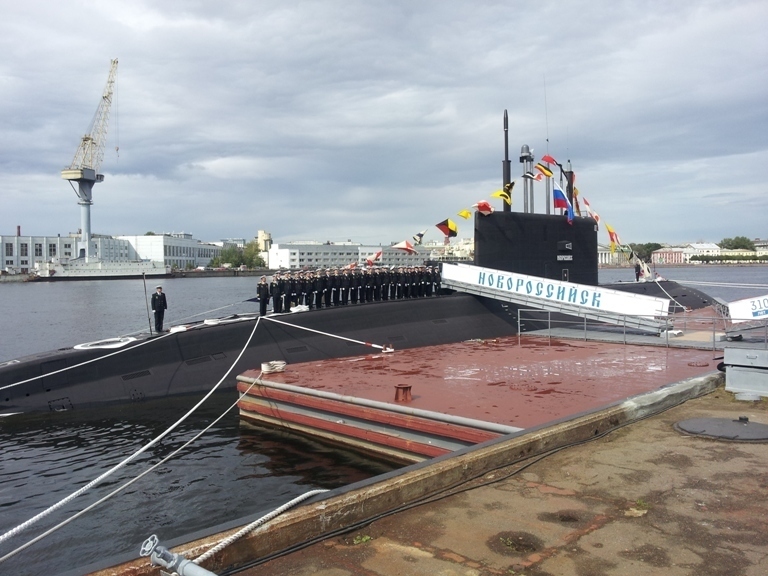 One of Russia’s new state-of-the-art submarines docked in Ceuta yesterday morning on its way into the Mediterranean. The diesel-powered Novorossiysk, which was launched in 2013, is characterised by advanced stealth technology making it virtually undetectable when submerged. The vessel’s arrival in the Spanish North African enclave comes against the background of continued tension between NATO and Russia over the conflict in Ukraine.